School gardens are a wonderful and exciting way to make almost any classroom curriculum come alive and show "real-life" meaning to students as they learn. A garden can provide an opportunity for students to participate in hands-on learning that teaches not only the intended subject but also responsibility, teamwork, and respect for nature, others, and themselves. Gardens have been proven to help students learn better and enhance test scores, and they can be an engaging way to meet Core Curriculum Content Standards. 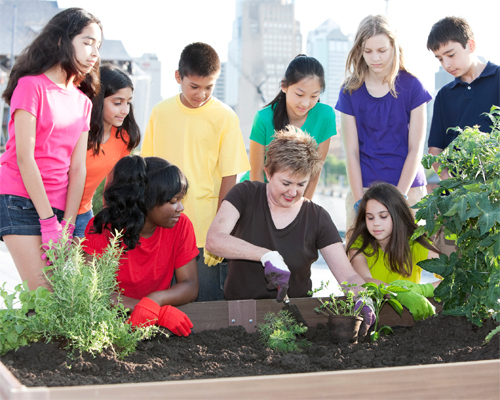 Whether growing vegetables, fruits, or a variety of herbs, edible gardens are a valuable tool that schools can use to promote healthier eating habits, appreciate locally grown food sources, teach environmental stewardship, encourage community and social development, and even instill a sense of place. Students who engage in school gardens show significant gains in overall grade point average, specifically in math and science. Teachers believe that implementing new learning styles can help students learn more effectively. Students expand their ways of thinking or habits of mind to include curiosity, flexibility, open-mindedness, informed skepticism, creativity, and critical thinking. Learning is most effective when the subject matter is "demystified," that is, when it is immediate and familiar to the learner, and presented in a manner that takes into account the varied learning styles and even abilities of the student population found in today's classrooms. Here are several examples of how the use of school gardens can enhance learning in a school environment. Gardens can provide students an opportunity to investigate and compare the basic physical characteristics of plants, what helps or hinders their growth, and their response to stimuli and environmental growing conditions throughout the season. Students also have a chance to observe similarities and differences in the needs of various living things, and differences between living and nonliving things. Students can maintain a science journal to record observations, collect data, and keep records and drawings of the garden. Students of all ages can learn about the Scientific Method by conducting experiments in the garden. Gardens give younger students a chance to identify, analyze, compose and compare shapes; classify objects; and count the number of objects in each category. For example, students can look for triangular shapes in the garden and explore their characteristics. Gardens give older students the opportunity to work with numbers while planting seeds; gain foundations for place value; and solve practical computation problems. For a practical, garden-based application of area and linear measurement calculation, students could plan the area of a garden plot and then calculate the suggested distance between seeds or seedlings. A garden journal can be a book or any written or recorded diary in which students can write their very own daily or weekly thoughts about the school garden all year round. 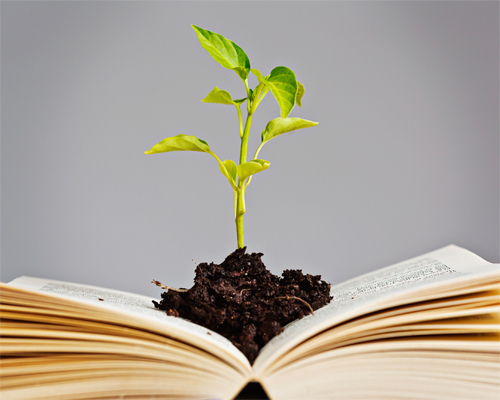 They can include pictures of plants, weather conditions, gardening tips, and lessons learned. It simply helps them remember all the different things they learned while gardening and it demonstrates understanding of the organization and basic features of printed and spoken words, syllables and sounds (phonemes). Gardens can be used as a means of self-expression through creating and performing music, and can assist in teaching students to listen, imitate, and improvise sounds, patterns, and songs. Students can learn a song about plants and have a sing-along – or the song can be included as part of any seasonal concert. Gardens can lend students the opportunity to expand their art knowledge and appreciation as they draw something found in or based on nature or natural surroundings. Looking closely at plants, students can create leaf rubbings, drawings, and paintings from the plants in the school garden. Or, the students may create alternative art projects for the garden by making toad houses, root view boxes, solar dryers, and rain gauges. Students will invariably discover new things about plants as they draw them. While in the garden, students are given substance and visual cues and are better able to describe objects. They may also be able to identify elements of art and principles of design that are evident in everyday life. Garden-based nutrition education can motivate school children to eat healthier and increase their physical activity. 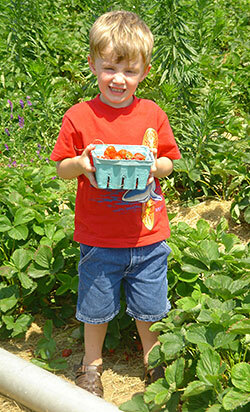 The desire to eat healthier foods comes from what children learn in the garden. A garden can build enthusiasm about eating fresh and perhaps locally grown fruits and vegetables. The process of planting their own seeds, watching them grow into plants, preparing the grown food, and eventually eating it can give students a new and sustainable perspective on healthy eating habits. Studies show that garden-based nutrition education improves students' eating habits by increasing their knowledge of, preference for, and consumption of fresh fruits and vegetables. Increasing physical activity while gardening can be fairly easy and simple. Gardening, itself, is great exercise. General gardening activities such as planting, digging, weeding, and harvesting can burn approximately 135 calories per half hour for a person weighing 125 pounds. There is growing concern about the possible lack of appreciation and connection today's children may have with their environment. As children spend more free and structured time indoors and less overall time outside, they are deprived of the opportunities to creatively play in and explore the great outdoors and experience how food grows, how plants survive, and the overall benefits natural settings offer. School gardens can offset some of this by offering an opportunity for students to re-connect with nature and the ecology that surrounds them. 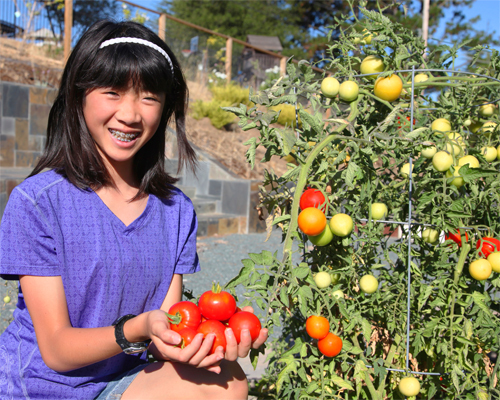 As such, gardens can teach students about agriculture, food systems, nutrition, environmental stewardship, and nature. Project-based learning improves students' knowledge and understanding of ecology and the environment. A garden offers an ideal area to teach and reinforce ideas and concepts about plant science, biology, chemistry, soil science, and math. Students develop an understanding of the natural world when they are actively engaged in scientific inquiry. Helping students achieve in school and beyond requires a focus on both academic and personal/social development, a focus on the whole child, and whole-school experience. Gardens can facilitate and support such development. When students participate in hands-on gardening activities they demonstrate more concern and willingness to care for living things. Trying new things like gardening teaches kids to take risks, thereby extending their experiences and abilities. Differences can be made in student's attitudes towards school and the interpersonal relationships they have with their teachers and other students. The list of benefits that result from the school garden continues to grow – as does the popularity of the school garden as an experiential learning tool that teachers can use and adopt across the curriculum to support academic achievement, social and behavioral development, and environmental awareness and appreciation. School gardens provide the opportunity for students, teachers, and community members to work together. 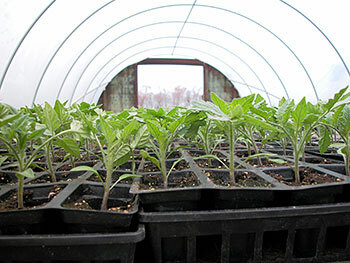 In New Jersey, Rutgers NJAES Cooperative Extension's Master Gardeners and Family and Community Health Sciences Department (FCHS) work with school teachers and administrators, community groups, and children alike to make gardening and healthy nutritional education an integral component of the school. Visit growhealthy.rutgers.edu for more information. Bucklin-Sporer, A. and Pringle, R. K. 2010. How To Grow A School Garden: A Complete Guide For Parents and Teachers. Portland, OR: Timber Press. Jaffe, R. and Appel, G. 2007. 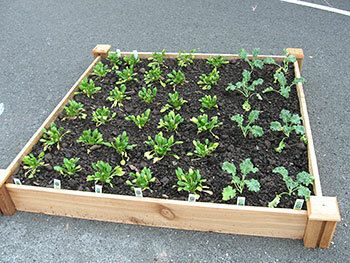 The Growing Classroom: Garden Based Science. Burlington, VT: National Gardening Association. Joshi, A., Azuma, A.M., and Feenstra, G. 2008. Do Farm-to-School Programs Make a Difference? Findings and Future Research Needs. JHEN, Vol. 3(2-3), 229-246. Junior Master Gardener, 2001. Health and Nutrition from the Garden. Bryan, TX: Texas AgriLife Extension Service. To order go to www.agrilifebookstore.org or call (888) 900-2577. Junior Master Gardener, 2005. Literature in the Garden. Bryan, TX: Texas Cooperative Extension. To order go to www.agrilifebookstore.org or call (888) 900-2577. Morgan, P.J., Warren, J.M., Lubans, D.R., Saunders, K.L., Quick, G.I. and Collins, C.E. 2010. The Impact of nutrition education with and without a school garden on knowledge, vegetable intake and preferences and quality of school life among primary-school students. Public Health Nutr, 13(11), 1931-1940. Ozer, E.J. 2007. The Effects of School Gardens on Students and Schools: Conceptualization and Considerations for Maximizing Healthy Development. Health Educ Behav, 34(6), 846-863. Parella, D. 1995. Project Seasons: Hands-on activities for discovering the wonders of the world. Burlington, VT:Queen City Printers. White, J. 2006. Math in the Garden: Hands-on Activities That Bring Math to Life. Burlington, VT: National Gardening Association. njagsociety.org/learning-through-gardening.html - Learning Through Gardening supports teachers' use of gardening and agriculture in the classroom.